Ander Herrera believes the return of Michael Carrick and Zlatan Ibrahimovic can help Manchester United compete for the Premier League title this season. The Red Devils are in second place in the Premier League table and eight points behind current leaders Manchester City after 13 games. Manchester United have been without Carrick and Ibrahimovic for most of the 2017-18 season so far but the ex-Sweden striker made his return to first-team action earlier this month. The 36-year-old has made substitute appearances against Newcastle United, Swiss outfit Basel and promoted side Brighton and Hove Albion in their last three games. Ibrahimovic will be able to compete with summer signing Romelu Lukaku for a starting spot in the Manchester United team, while Carrick can bring some experience to Mourinho’s midfield. Spanish midfielder Herrera welcomed the return of Carrick and Ibrahimovic ahead of what promises to be a crucial spell in the Premier League title race. 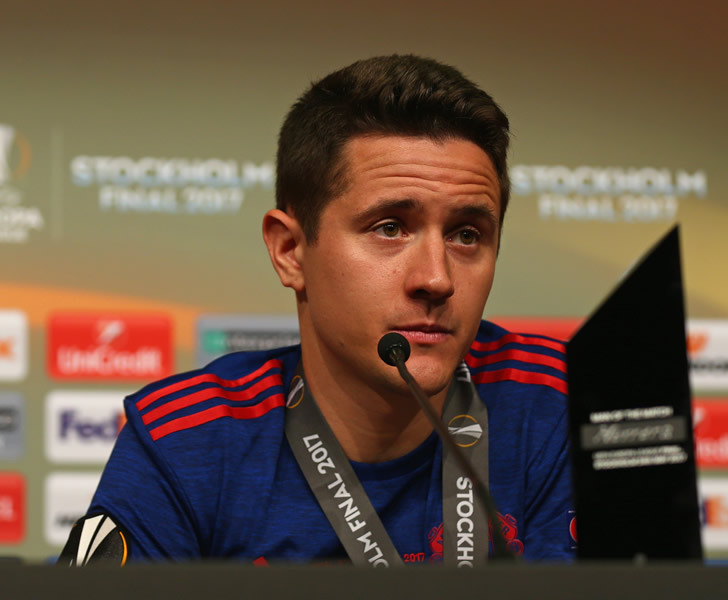 “I think it’s the best thing you can have,” Herrera told Man United’s website. Manchester United will welcome runaway Premier League leaders Manchester City to Old Trafford in the Manchester derby on Sunday 12 December. The Red Devils haven’t won the Premier League title since 2013 under club legend Sir Alex Ferguson. Manchester United signed three players in the summer transfer window.